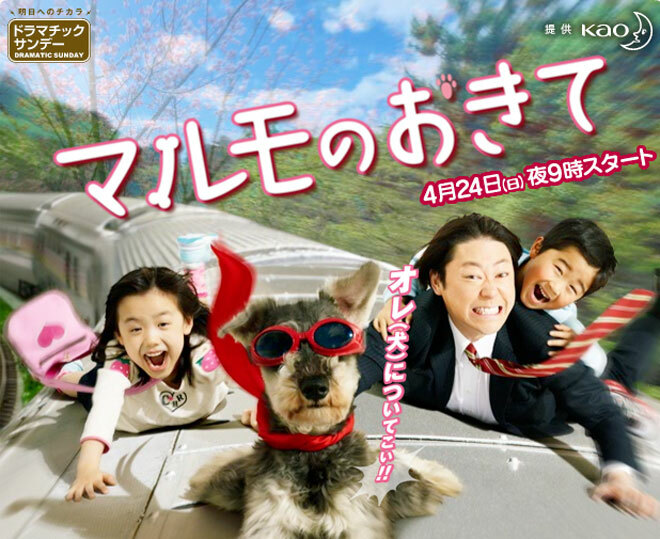 Cast: Abe Sadao, Ashida Mana and Suzuki Fuku. Takaki Mamoru (Abe Sadao) a bachelor living in a one-room apartment, doesn’t have much in life - especially after he gets transferred to Customer Service branch, even though he has potential in other areas. When his high school friend Sasakura passes away suddenly, Mamoru meets the friends two children, the twins Sasakura Kaoru (Ashida Mana) and Sasakura Tomoki (Suzuki Fuku). While alive Sasakura had emphasized that he would like the children to be together as they had always been inseparable, but the family members, unable to have their own children and the twins in the house, decide to separate the two. Soon enough the two become depressed and start running away from home. This is where Mamoru decides to take in the twins and decides to help them enter school as well as helping the cope with the loss of their father. I became a fan of Abe Sadao after watching him in the Iryu series, so when I noticed this drama, I simply had to watch it. I wasn’t sure what to expect from it, since it was the only drama of his that had a different character, other than the one from Iryu - that I have watched. To put it simply, he is officially one of my favorite actors now. Putting aside the classic storyline, and the amazing kid actors, Abe Sadao is absolutely believable in this character - I really can’t explain why, but he embodied Mamoru perfectly. Almost as if the character was made for him. (LOL) The storyline was good too, though at first, I was thrown off by the dog being able to talk… But later it kind of made sense to me. It is very cute, and I sort of felt happy about it later on. So to sum up: a cute drama with great acting.